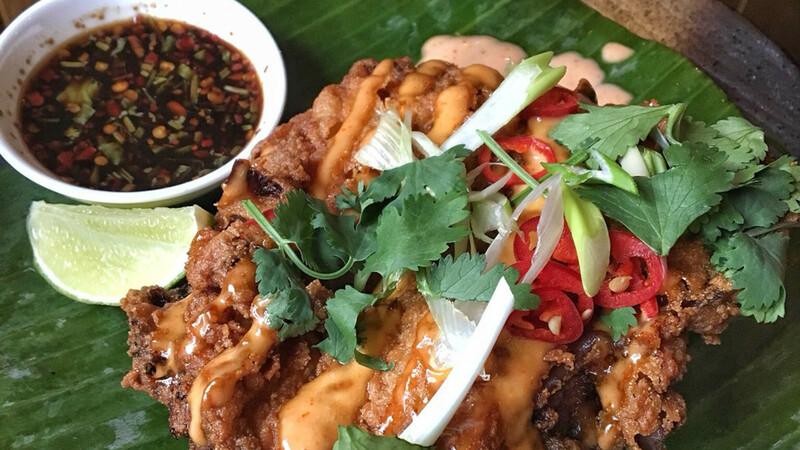 From roaming street-food stall to funky pop-up restaurant in Clapton, KraPow has gone from strength-to-strength since winning Sadiq Khan's #MyLondonDish last year. 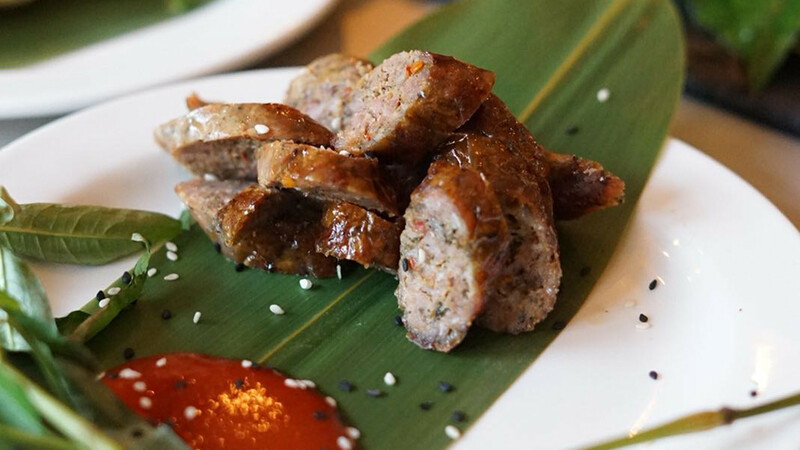 Paul Ambrose and Rich Oakes's take on Northern Thai cuisine – by way of Laos, Myanmar and China – clearly has its appeal because you can also catch them selling out across a number of festivals this summer. If you're up in E5, then we'd suggest getting your laughing gear around one of KraPow's Thai cocktails. Infused with the fragrant, zingy flavours of lemongrass and galangal, it takes the tang of a gin sour and rolls it into the sweet, refreshing bite of a mojito. There's some interesting beers in the mix, too: go gluten-free with BrewDog's Vagabond or hit up the punchy (and somewhat lethal) 6.5% Push Eject IPA from Hackney Brewery. We hope you've got room behind that belt, because you're going to want to try everything and more. 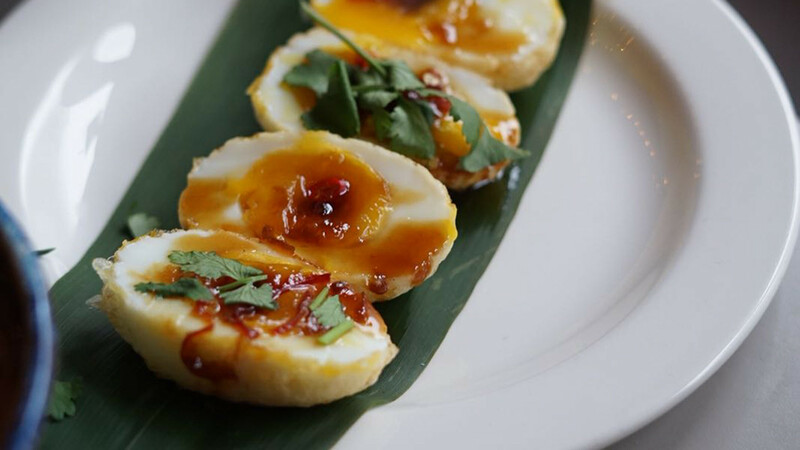 Start with the son-in-law eggs: silky, sweet, and somehow both soft-boiled and deep-fried. Next, take on the miang bites, aka sticky tamarind prawns wrapped in evergreen, peppery betal leaves. And as for mains, you've got to order the restaurant's signature dish, the KraPow Moo. It's a deep bowl of spicy pork mince and crispy rice topped off with a fried egg. Oh, and see that perfect, sunny-yellow yolk? Don't hold back, stick your fork in it and get mixing – you'll want all of that fatty yolk to offset the abundance of red chilli heat rolling off the meat. 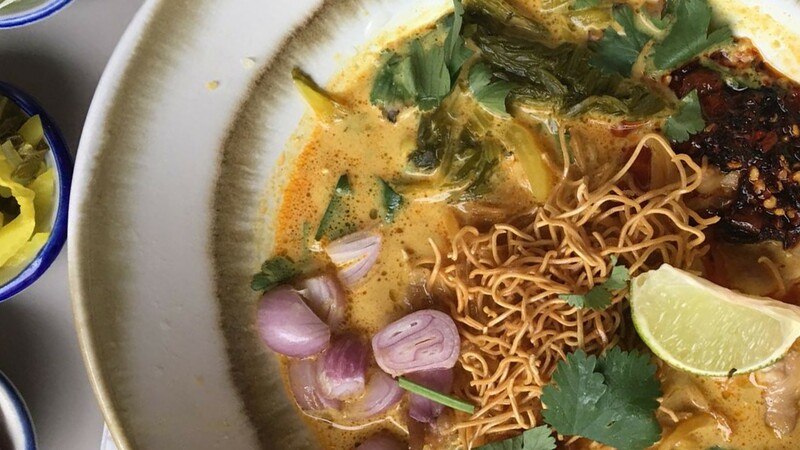 And you can't leave KraPow without at least dipping your spoon into the khao soi gai, a huge, turmeric-yellow curried coconut noodle soup from Chiang Mai that's topped with mustard greens, thai shallots and deep-fried noodles. It's the dish that won the boys the Secret Cinema Blade Runner gig earlier this year, and with good reason.